What about the possibility that English was spoken as some form closer to Norse or even a separate Germanic branch in one or both of these two Englands before the Anglo-Saxons arrived? I am sure this will be the most contentious aspect of my argument, but that does not deter me from suggesting it. The various academics I have quoted or cited on this issue are united on one aspect of the oldest recorded English, whether written in runes or Roman script. This is the strong, unexplained Norse influence, both culturally and linguistically, before the Vikings came on the scene. 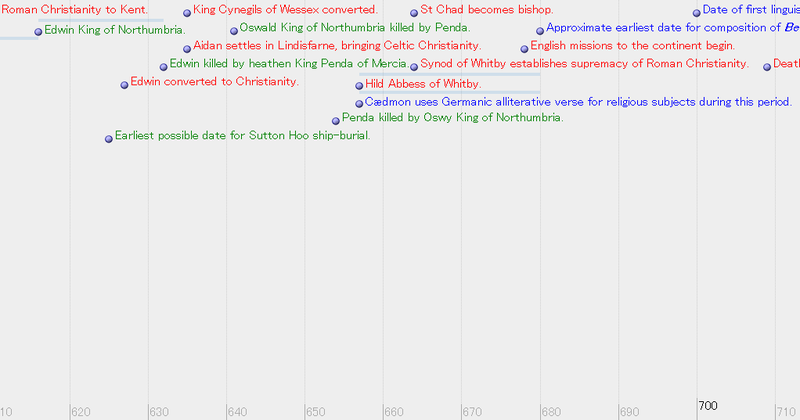 But the evidence against a Dark Ages root of English goes deeper than that. In terms of vocabulary, English is nowhere near any of the West Germanic languages it has traditionally been associated with. It actually roots closer to Scandinavian than to Beowulf, the earliest 'Old English' poem and probably written in the elite court of the Swedish Wuffing dynasty of East Anglia. One study suggests that, on this lexical evidence, English forms a fourth Germanic branch dating 'to before AD 350 and probably after 3600 BC'. The earliest evidence we have of Germanic settlement in Britain consists of the Anglo-Saxon cemeteries and settlements in the region between the Lower Thames and Norfolk. Others possibly lay in Lincolnshire and Kent. In Caister-by-Norwich there was a large cremation cemetery outside the town dating from about 400. 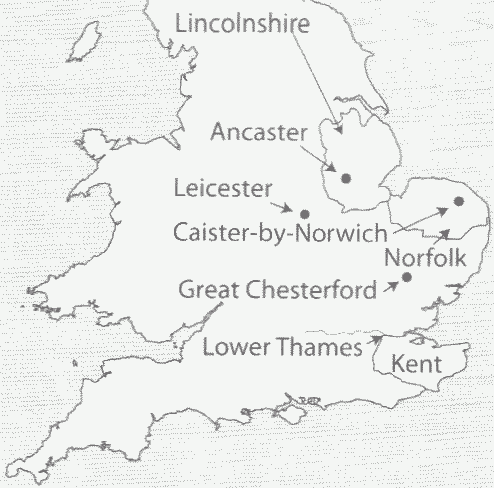 Similar settlements were found near Leicester, Ancaster, and Great Chesterford. 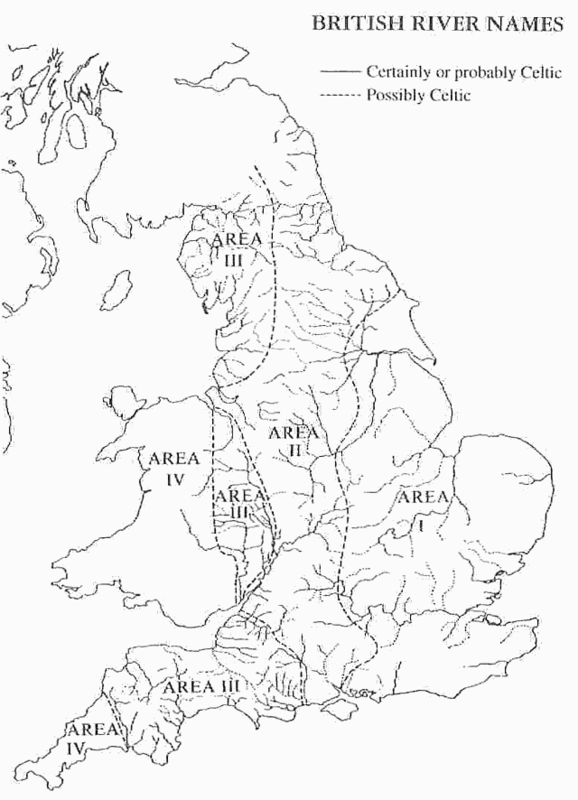 One of the most likely explanations for these settlements, virtually always outside the city walls, was that the Germanic invaders were invited there to protect the British settlements, especially after the Romans withdrew. Much as in other western provinces, the Empire relied on barbarian troops and officers from the late third century on. The formal end of Roman rule by 410 did not mean the end of all efforts to protect Britain from external attacks, the most serious of which came from the Scots and the Picts . . . to the north and the sea-borne Saxons among others. It may well have been that the British leaders continued to use Germanic troops after 410 and perhaps even to increase their numbers. For the Germanic newcomers it was probably of no importance who recruited them. They were simply doing what their fathers before them had done. However, without any central power to coordinate defenses the Germanic forces would soon have realized they had a free hand to do as they wished. Soon more would be coming from the Continental coast near the Elbe and Weser estuaries (the Saxons), from Schleswig-Holstein, especially the region of Angeln (the Angels (sic)), from northern Holland (the Frisians), and probably from Jutland (the Jutes).